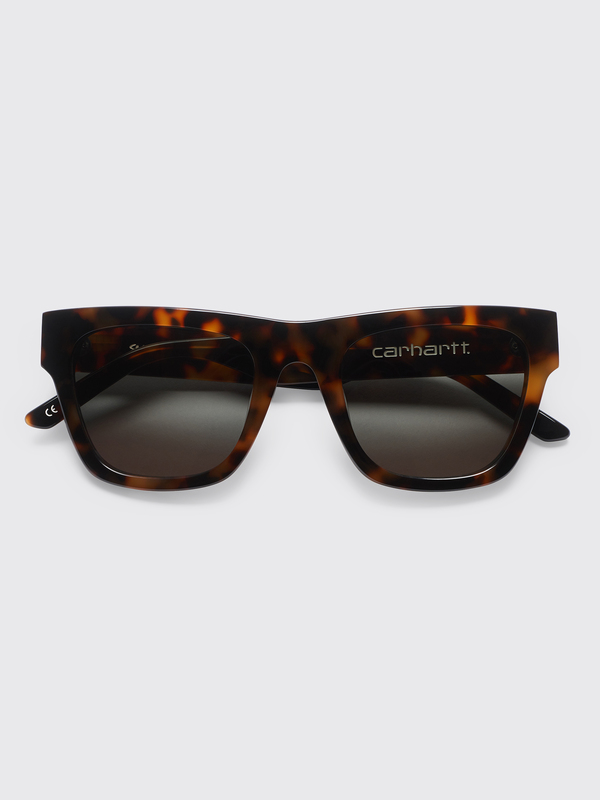 Sunglasses from Sun Buddies made in collaboration with Carhartt WIP. 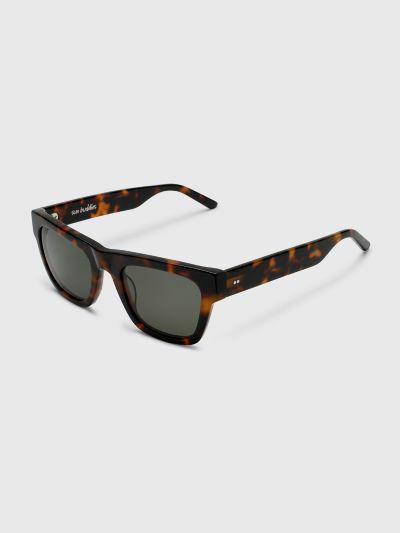 Slightly oversized ”wayfarer” style frame in a custom tortoise pattern. Handmade of Italian acetate. 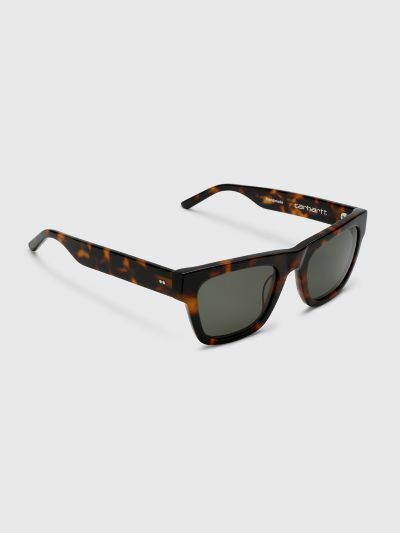 Green/G15 Carl Zeiss lenses with 100% UV protection and a seven bar hinge with two visible rivets on the temple. Embossed Sun Buddies and Carhartt logos on temples. 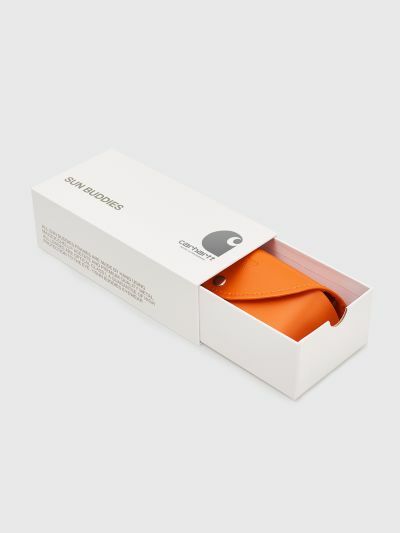 Comes in a glossy co-branded paperboard box and an orange faux leather case. 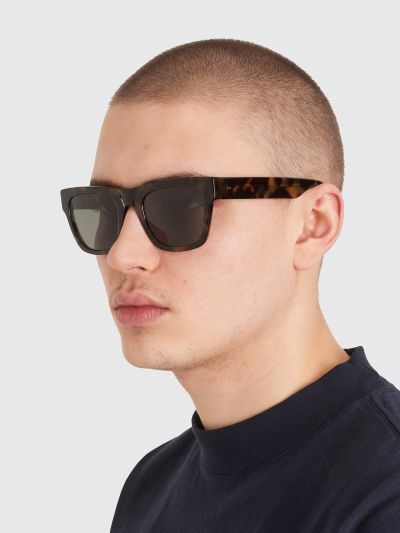 Brown and black sunglasses. Handmade of Italian acetate with green/G15 colored Carl Zeiss Vision lenses. 100% UV protection.